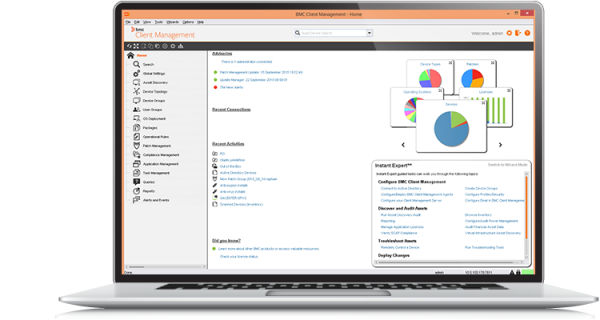 BMC FootPrints Asset Core delivers comprehensive, automated IT asset management designed to help organisations control costs, maintain compliance, and reduce financial risks. Fully integrated with BMC FootPrints Service Core, the combined solution will provide a comprehensive IT service and asset management solution. BMC FootPrints Asset Core with MyApps puts pre-approved software and access requests in the hands of the end user without going to any websites and without submitting any forms. It’s the app store for the desktop – IT can advertise available software applications, advanced actions and quick links for the end-users to access on their schedule.